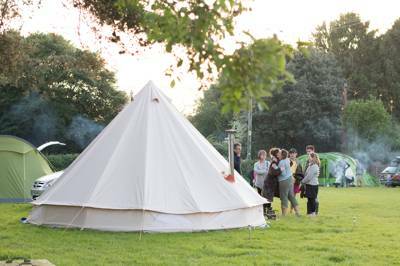 Find the best campsites and glamping sites in the New Forest here. Covering swathes of south west Hampshire, the New Forest – despite its name – is almost a thousand years old. Miles of open heath and thick woodland are the ideal backdrop to any holiday and if you dream of camping in a peaceful hideaway, the New Forest is the perfect escape. Campsites here range from tent only camping, tucked amid the trees, to glamping in grassy clearings, with luxury yurts, tipis and bell tents. So whether you’ve got a caravan, tent or nothing at all, there’s a campsite for you. Browse through our selection of the best sites in the New Forest below. Described by David Bellamy as a “paradise park”, Hollands Wood is a campsite where nature is valued more highly than commercialism. Forest camping with added animals. Staggeringly spacious camping in a top notch location. Excellent facilities inside and spacious camping and glamping options outside in the grounds of this well located New Forest youth hostel. Once a royal hunting ground, Hampshire’s New Forest is now a perfect camping ground and a national park. Its ancient woodland and heather moorland make an almost magical landscape with added enchantment from free-roaming New Forest ponies and deer. With amazing walking and wildlife-watching, quaint towns and great country pubs as well as a stretch of seaside, the New Forest has something to appeal to just about everyone. Bluebells in spring, cool shade in summer, crunchy leaves in autumn and a wonderland in winter, this place manages to be a genuine year-round destination. 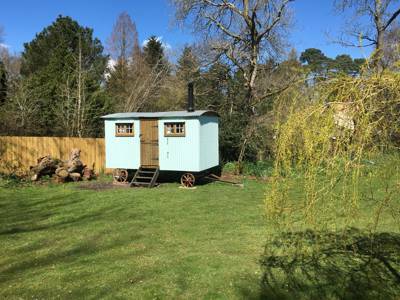 What’s more it’s found slap bang in the middle of the south coast and just a 90-minute train ride from London; making a week or weekend of glamping or camping in the New Forest easy for city and suburbia escapees. 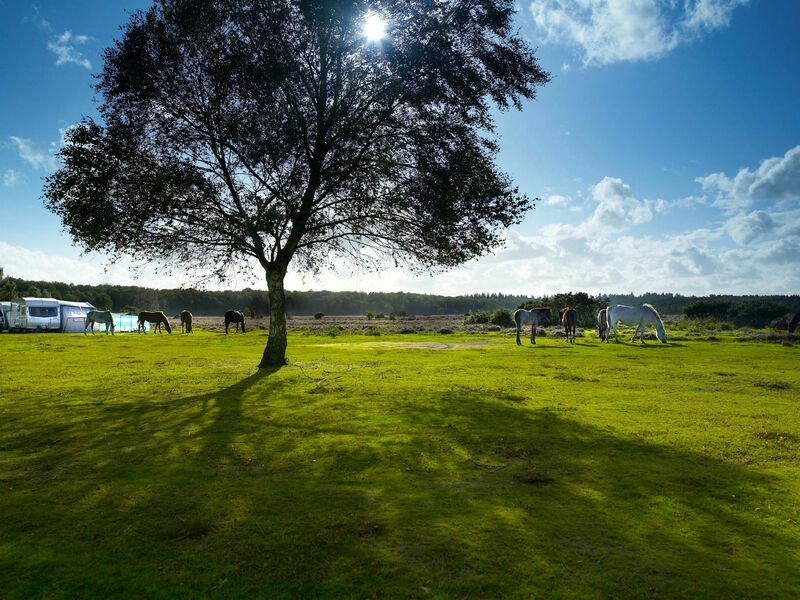 Tucked away in the forest are some great New Forest glamping sites and camping sites; places where you can really immerse yourself in this special landscape and perhaps wake up to a pony on the tent step! We’ve carefully selected our favourites to help you find your perfect pitch, whether that’s a cosy cabin among the trees or a grassy pitch in an open field. There are lots of traditional New Forest campsites where you can pull up, pitch up and immerse yourself in the great outdoors. The joy of classic under-canvas tent camping (apart from being a great-value way to holiday) is your proximity to nature; you can wake up to birdsong and only need to unzip the tent to see what the day has in store. Lots of people love the sociable side of a classic camping holiday too – where else can you trade tips for walks while washing up? 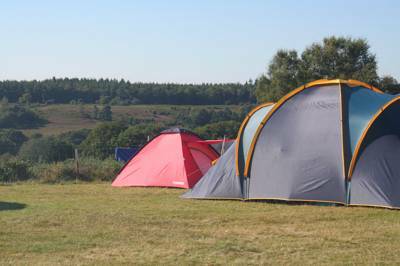 There are New Forest campsites in woodland, in meadows and on the coast. There are places where the nearest pub is a short walk away and places that are miles from anywhere, pitches where you can plug in and hook-up to the mains and pitches where the only light will be from a crackling campfire. Whichever type of camping you prefer, you can use our “Refine Search” feature to pick and choose the things that are important to you to get a personalised list of cool campsites in the New Forest. If the thought of setting up your own tent does not fit in with your idea of a holiday, why not opt for the easy option and book in for a spot of glamping in the New Forest instead? With the rise and rise of glamping, the Cool Camping team now spend just as much time checking out treehouses, tipis and luxury tents as we do traditional campsites and there are plenty of New Forest glamping sites that we think offer something special. We’ve sought out and selected from the geodesic domes, gypsy caravans, shepherd’s huts, bell tents, yurts and safari tents so we can bring you our pick of the best glamping sites in the New Forest and beyond. If you’re a first-time camper, glamping can be a great way to test the water without having to buy all the camping gear. 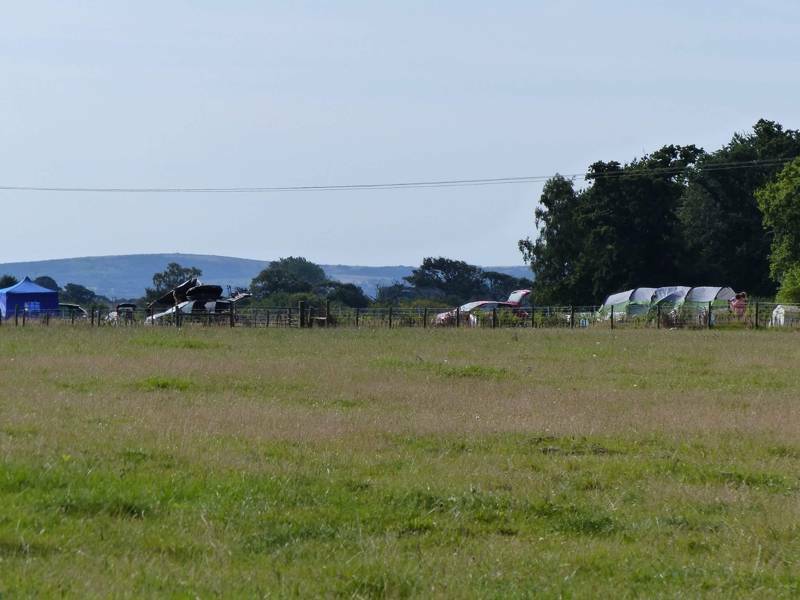 Parents with young families also often find glamping offers a great half-way point between more traditional self-catering accommodation and camping. If it’s a real camping experience you want, you might like to stick to the canvas cover of a simple bell tent, tipi or yurt but if you fancy more luxury, perhaps try a shepherd’s hut with all mod cons. Whether you opt for glamping or camping in the New Forest, your kids will probably thank you. Okay, so they may not actually say thank you (without a prompt) but they are almost guaranteed a good time. Being outside all day long, cooking on the barbecue and toasting marshmallows on the campfire are all new adventures for children. Add to that the chance to hang out with parents undistracted by work and chores, the freedom to go exploring and the opportunity of making campsite friends; and you are likely to have some happy children. The novelty and excitement of sleeping in a tent or shepherd’s hut means even bed times can be fun and, after all that fresh air, it may not be long before they fall in to a contented sleep leaving the adults to enjoy the campfire for just a little longer. 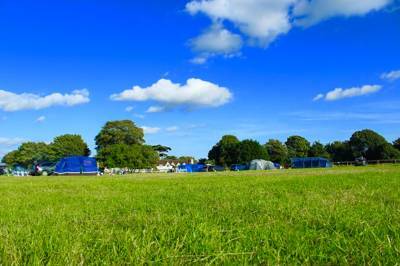 So how to choose where is best for family camping in the New Forest? If you have young children or babies you’ll probably be used to checking out whether there are changing facilities but you might also like to choose a pitch that’s a little closer to the toilets in case of night-time wake-up calls! And if you’re glamping, try to find out what provisions are made for little ones – you may be able to leave that travel cot and high chair at home. Bigger sites often have play equipment and activities for children laid on, but don’t discount the places that don’t have these as you might find that watching the New Forest ponies and playing games in the field or woodland are enough to keep your kids entertained anyway. Man and nature harmonise in the pretty Hampshire village of Brockenhurst, a place where the New Forest's famous, free-roaming ponies drink from the watersplash at the bottom of the high street. Find the best campsites near the village with our hand-picked, Cool Camping collection. On the banks of the Beaulieu River in the New Forest National Park, the beautiful, unassuming village of Beaulieu is a great focal point for any camping holiday, with its renowned motor museum and a fascinating local history. Discover the best campsites in the local area, with our hand-picked collection of exceptional Beaulieu campsites. On the north-west edge of the New Forest, Fordingbridge is a popular gateway into the national park and a practical base for any camping holiday. As always, we've been out in the campervan or popping up the tent, to uncover the very best campsites in the area. Whether it's boat trips from the quay, exploring the Solent coast on foot or cycling the car-free trails in the nearby New Forest, the seaside town of Lymington has plenty to keep campers busy. As always, we've been out on the road ourselves, putting together our own shortlist of the very best places to pitch. At the very heart of the New Forest and home to its main, interactive visitor centre, the central town of Lyndhurst is the place to go for all things national park. There are heaps of great campsites within close proximity of Lyndhurst and, as always, only the very best have made it onto our shortlist. The village of Milford on Sea in Hampshire is the ideal base for camping holidays, combining the south coast seaside with good access to the New Forest National Park. 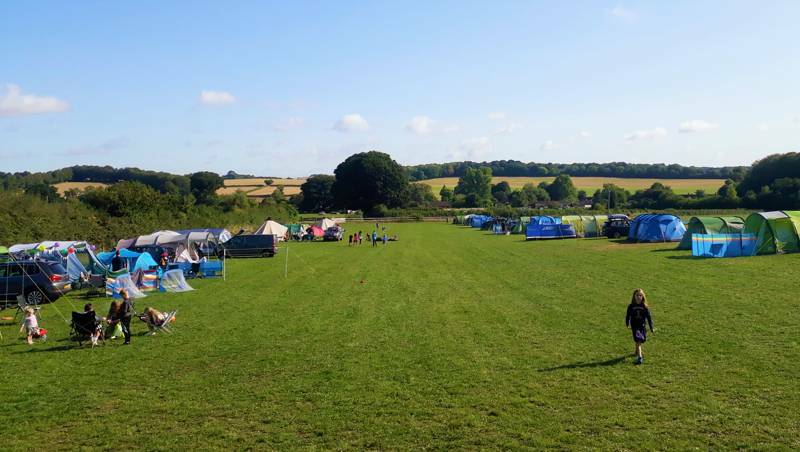 Right from the village, the trove of local campsites begins, with a pop-up campsite in a village meadow as well as other more established spots in the countryside nearby. Find our pick of the best places to pitch here. Sandwiched between the River Avon to the west and the New Forest to the east, the pretty Hampshire town of Ringwood dates back to Anglo Saxon times and today stands as a gateway into the national park. Find the best places to pitch, with our hand-picked collection of the very best campsites nearby. From woodland campsites to exclusive glamping getaways beside a stream, discover the best camping escapes near the Hampshire village of Romsey with this hand-picked collection of exceptional sites from Cool Camping. 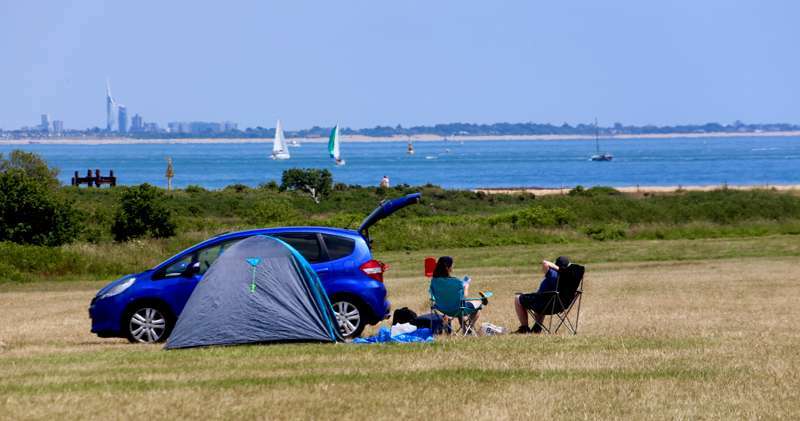 Whether it's following Southampton's two rivers – the Test and the Itchen – into the countryside or heading out by bike into the New Forest National Park or along the Solent Coast, the countryside around Southampton seems ready-made for camping. Find the best local campsites with our hand-picked collection. Perhaps your on the hunt for the very best campsite for toddlers? Or you want recommendations on what to do in the New Forest on a cold and rainy day? Our growing list of New Forest blogs and articles gives you the latest information and inspiration for your camping trip in the Hampshire countryside. Set entirely within Forestry Commission Estate, Camping in the Forest's enchanting woodland sites return us to the most ancient of British landscapes. During a camping or glamping holiday in the New Forest you can find out more about the history of the area by visiting the New Forest Centre in Lymington but a little background helps make sense of why the landscape looks the way it does (and gives you the chance to look knowledgeable en route to your campsite). Although there is evidence of Bronze Age, Iron Age and Roman settlement before it was William the Conqueror’s decision to declare the area his “nova foresta” (new hunting forest) in 1079 that gave it a name and shaped the landscape. A system of “commoners’ rights” was set up and remains now, almost a thousand years later, which allows some local people the right to graze their livestock (ponies, cattle or pigs) on the land. By the 18th century the forest was used more for its timber than as a hunting ground and wood from the New Forest was used to build 18th-century ships including those for Nelson’s fleet in the Battle of Trafalgar. The Second World War also helped shape the landscape and you can see memorials to some of the activity that went on here today including a memorial at Stoney Cross commemorating several RAF airfields which were set up in the forest. Since then, tourism has become the main business which is being carefully balanced with protecting this historic landscape. The New Forest was recognised as a National Nature Reserve in 1969 and was only given national park status in 2005. There’s lots of information on things to do in the New Forest at information points around the national park and online at the New Forest website but we’ve put together quick list of some of our favourite things to see and do when camping in the New Forest to give you a little inspiration. Lyndhurst, the largest village in the national park, is a good place to start your trip as it’s home to the almost-as-important New Forest Visitor Centre. If you’re camping or glamping in the New Forest this is the place to head to for a map and local tips. The independent shops of the high street are also a good spot for stocking up on local produce for picnics and barbecues. Heading out on foot is the best way to explore the heather moorland and ancient woodland of the New Forest. There are lots of well-signposted routes but if you fancy a bit of navigation practice and getting further into the forest, seek out Ordnance Survey map OL22. On foot, you’ll have more chance of spotting deer, birds and other wildlife. If you haven’t had much luck spotting deer while you’re out and about in the forest, try heading for the deer-viewing platform near Bolderwood Ornamental Drive. During the summer months the deer are fed here (usually between 12pm and 2.30pm) and so, although they are wild, they are less skittish than deer unused to human contact. There’s a car park and the start of some nice walks here too. You don’t have to be a tree-hugger to be impressed by some of the specimens in the New Forest. The park authority says there are at least a thousand ancient trees here; more than anywhere else in western Europe. Check out the oldest – the Knightwood Oak, thought to have passed its 400-year birthday and then go and gaze up at the tallest trees, including 50-metre redwoods and sequoias, which have their roots in the Rhinefield Ornamental Drive. The huge Beaulieu country estate in the New Forest has so much going on you could spend a week here! Plenty of its attractions are undercover too so it is a great day out whatever the weather. Not only can you discover the historic house and beautiful gardens but there’s an old abbey and the National Motor Museum (among other things). Peppa Pig World is a great day out for families with younger children giving them the chance to meet TV favourites Peppa and George face-to-face. It’s actually part of the larger Paulton’s Park where there are more than 70 rides and attractions which are suitable for all ages. This ship-building village on the banks of the River Beaulieu is a picturesque spot that has changed little since its days using oak from the forest for Nelson’s ships. Call in to see the waterfront, visit a Shipwright’s Cottage and find out about the Buckler’s Hard village history at the Maritime Museum. The national park includes a lesser-known 40-mile stretch of coast. If you are not camping by the New Forest coast, it’s still worth spending the day there. Perhaps head for Lepe Country Park where you can enjoy a combination of great countryside and sea views across The Solent to the Isle of Wight – not to mention nature trails, an adventure play area and café. Where better to climb a tree or build a den than in the New Forest where there are trees everywhere? Both featured on the National Trust’s much-loved list of 50 things to do before you’re 11 ¾ - but if you haven’t managed it by the time you’re reading this, why not make up for it during your camping holiday in the New Forest? Or at least let your kids have a go! The gently undulating terrain of the New Forest and quiet roads are perfect for bike riding and the roads are relatively quiet. It’s a great way to get around and there are off-road cycle tracks through the woods too which are perfect for family-friendly cycling. If you can’t take a bike with you, there are plenty of bike hire places in the main towns and villages including Brockenhurst, Lyndhurst, Fordingbridge and Burley. New Forest, Camping in the New Forest, Campsites in the New Forest, New Forest Campsites, Campsites New Forest, Glamping in the New Forest, Glamping sites in the New Forest, New Forest Glamping sites, Glamping sites New Forest at Campsites in the New Forest, Head for the heath and woodland of the New Forest with a stay at one of these inspiring campsites, as chosen by the expert Cool Camping team. Whether you’re pitching a tent, parking up the campervan or looking for a luxury glamping stay, this collection of campsites in the New Forest is sure to offer the perfect inspiration.